After we enjoyed eating kushiage, we entered there. It is across from the kushiage shop. 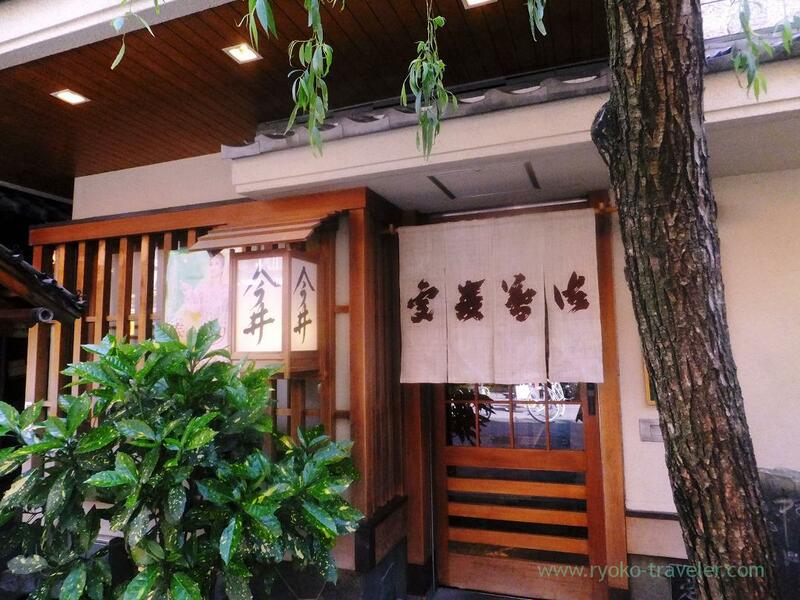 It’s pure Japanese-style architecture along the busy street. Our acquaintance recommended the restaurant. This restaurant had much foreign tourists. We ordered a kitsune udon (きつねうどん, 756 yen). 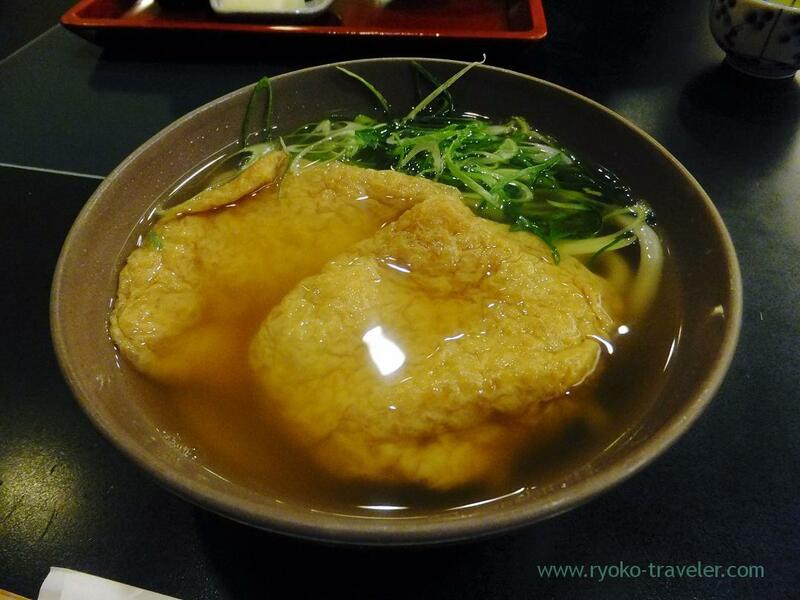 Kitsune udon is udon in soup, topped with deep-fried tofu. The udon was perfect. It had smooth texture and sure went down well. B U T ! This deep fried tofu was too sweet for me. I always says that I hate sweet meal. 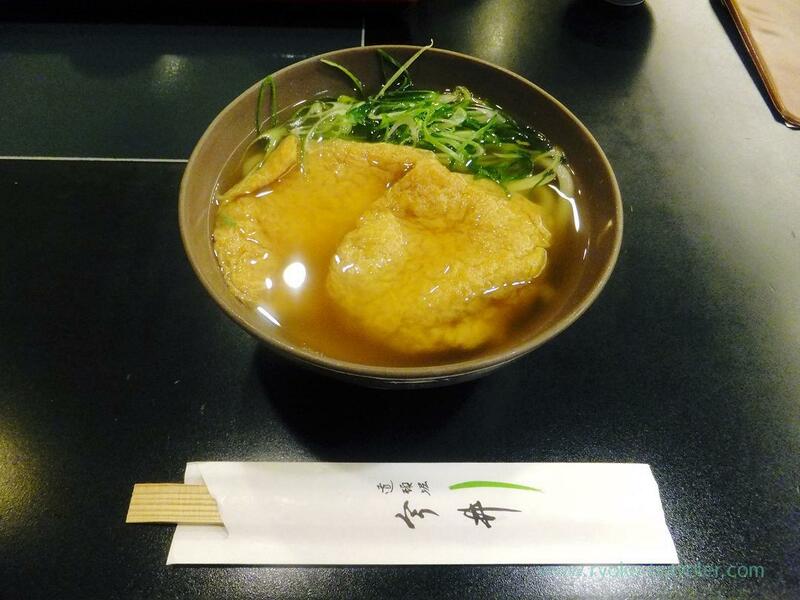 This soup had much taste of the deep fried tofu. To begin with, I don’t like deep fried tofu. My friend liked this much. And another one. 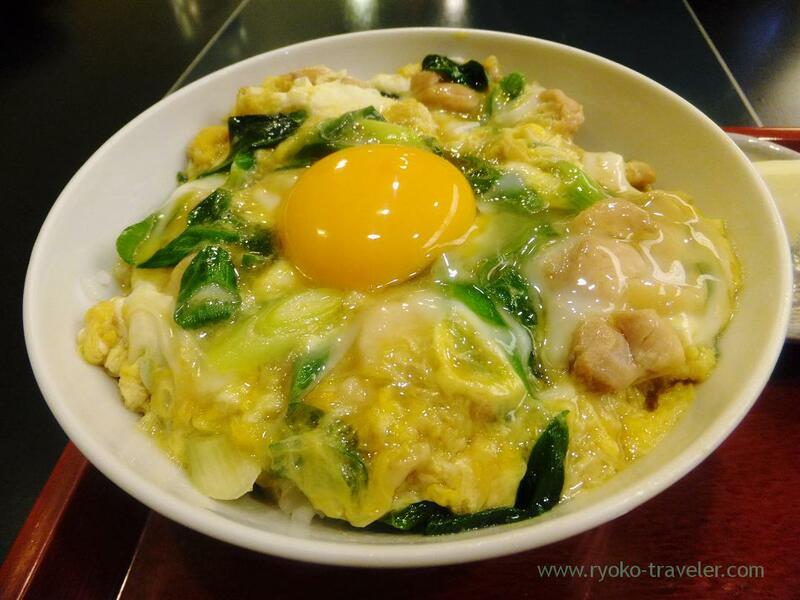 Oyakodon (親子丼, 1296 yen). The waitress said that if we ordered as “set”, we could also eat small udon. Well… we were at there just after eating kushiage, so we refused. 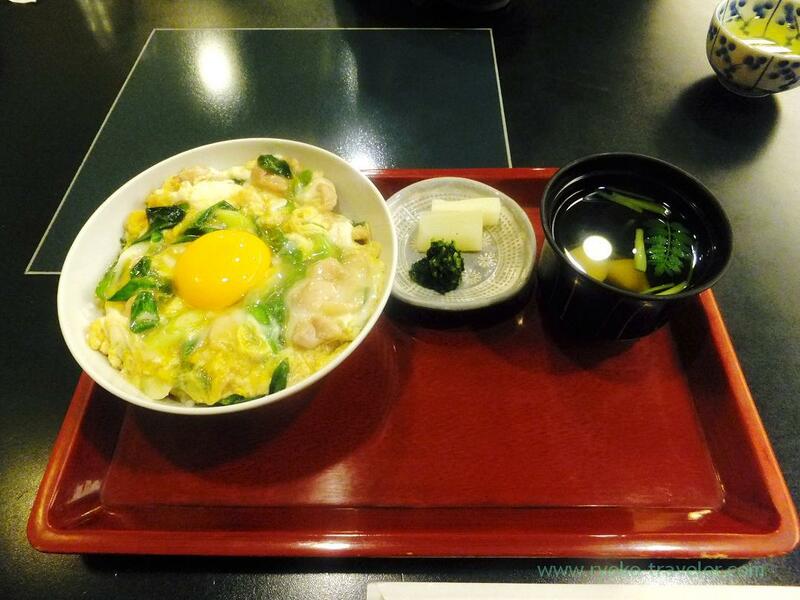 Unless ordering as set, oyakodon have clear soup and pickled vegetables. Awesome yolk was in the middle !!! The chickens meat was springy and fresh, cooked eggs were soft, the yolk on it was so smooth. It was definitely No.1 oyakodon for me !!! By the way, its appearance was pure Japanese-style architecture, but it is reinforced‐concrete building. It’s four-storied ferroconcrete building and owned by Imai. Every floors have seats. After that, we went toward Universal Studio Japan !